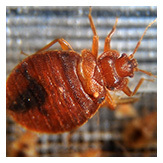 In order to eliminate bed bugs, they first have to be located. That is why in select cases, we may bring the most effective bedbug detection tool of all – our trained, educated, thorough, and hairy bed bug dog, named Vana. Why K9 Bed Bug Detection? Bed bugs are incredibly adept at hiding. But in order to identify and eliminate them, they have to be found. When we suspect bed bugs are living on the property but are unable to locate signs of bed bug activity, Vana – our white bed bug lab – is able to come to the property and sniff out bed bugs with 97% accuracy. Bed bugs emit some distinct smells. Humans can generally only sense them in extreme infestations, but dogs, with their sense of smell 1000 times the strength of humans, are able to sniff out even a few bedbugs in your home and identify their hiding space. 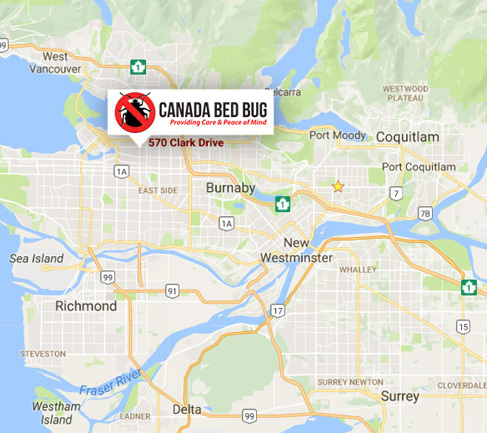 Canadian Bed Bug offers advanced bed bug detection so that we can make sure we identify any bed bug problem and deal with it accordingly. When needed, we are happy to contact Vana and her handler and have them come to your Whistler/Vancouver/Chilliwack property and ensure that bed bugs are found and eliminated. If you believe you may be struggling with bed bugs, contact BC Bug today. 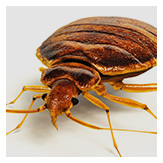 We will identify bed bugs on your property and make sure that we find the right treatment to eliminate the problem.